Two 8.5 x 11 quality Printed Sheets on professional media paper and a Premium Download for a special Combo pirce. 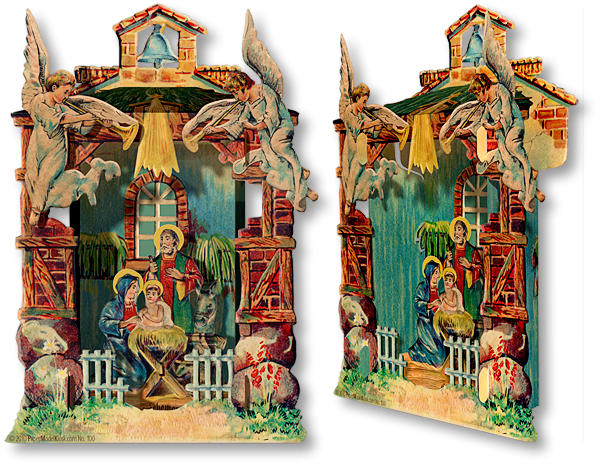 You get two variations of the Bell Nativity: one with (it fits together) and another without tabs and slots. Size: 4 x 7 x 1.25 inches. The vintage original that inspired the Bell Nativity was recently sold on the web for $261.62.